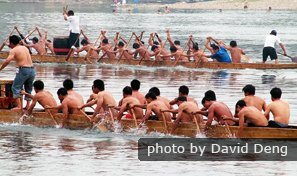 As a unique kind of cultural cohesion and accumulation, the image of the Dragon is deeply rooted in the minds of the Chinese people. Not only is the Dragon culture imprinted in the daily lives (birth and old age, sickness and death) of the people, but it also penetrates all aspects of social life aesthetically. 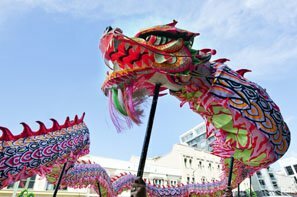 The Dragon is related to everything in China, symbolizing power, nobleness, honor, luck, and success in traditional Chinese culture. It&apos;s said that the Dragon can ride mist and float on clouds in the sky, chase the storm and churn the waves in the sea, and summon wind and call for rain on the earth. 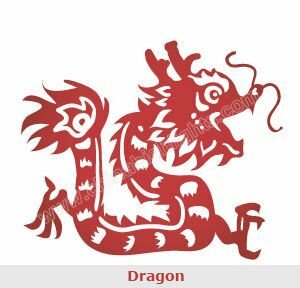 More importantly, the Dragon symbolized the imperial power in the slave and feudal societies of China, and its image was exclusively used by the emperor. 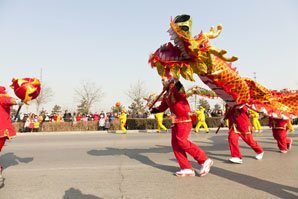 As a result, the ancient emperor called himself the "true son of the Dragon" — his costume was a dragon robe, his body reflected a dragon&apos;s body, his chair was shaped like a dragon, his boat was a dragon boat, and his carriage was a dragon-like carriage — in order to show his supreme privileges. The Dragon is a supernatural being with no parallel for talent and excellence. 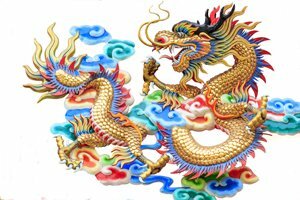 Those who are highly-principled and able to make great achievements are called "Dragons", as described by the ancient people. Before Zhu Geliang (181 – 234), the later chief minister of the state of Shu (221 – 263) of the Three Kingdoms Period (220 – 280), became famous, he often compared himself to Guan Zhong (719 – 645 BC), the chief minister of the State of Qi (391–221 BC) of the Spring and Autumn Period (770 – 476 BC), and Yue Yi, the chief marshal of the State of Yan (11th century–222 BC) of the Warring States Period (475 – 221 BC). Zhu Geliang also called himself "the Gentleman of Crouching Dragon" which symbolized a man with great ambition and talent, however, his talent remained unrecognized. People often compare snakes with dragons, however, there are many varieties of snakes and they are commonly seen. As a matter of fact, the Dragon and the Snake are not on the same level, therefore, people use the phrase "a mingling of dragons and snakes" to describe a mix of good and evil. The legend went that the Dragon and the Snake were from the same family in ancient times, but the Dragon despised the Snake for showing its excellence after they broke up the family and lived apart, and the Dragon even planned to kill the Snake. 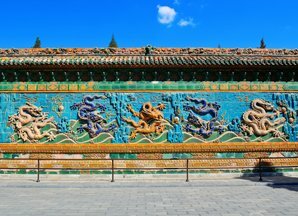 The most representative legend about the Dragon and the Snake was vividly demonstrated in the experience of Liu Bang (256 – 195 BC), who became Emperor Gaozu of the Han Dynasty. It was said that Liu Aao (mother of Liu Bang) bore Liu Bang by dreaming of copulating with a dragon. Liu Bang was an ambitious man from an early age, who encountered a snake as it got in his way in the wild, and he cut it into halves with his sword. An old woman told people that she saw a dragon killing a snake in the wild; therefore, the people believed that Liu Bang was the incarnation of the Dragon. In the late Qin Dynasty (221 – 206C), Liu Bang rose in rebellion against the Qin Empire and defeated his opponents one after another. He established the Han Dynasty (206 – 220 AD) that lasted for over 400 years in the history of China. 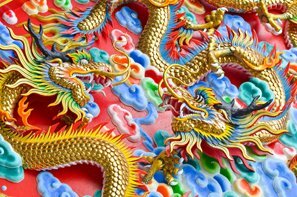 The wise and profound scholars were called "Dragons" by the ancient people. Cai Yi, the scholar-bureaucrat of the Eastern Han Dynasty (25 – 220), was known as the drunken Dragon due to his indulgence for drinking wine. Later, those who were skilled in calligraphy and painting, and those who held official positions were also called "Dragons". 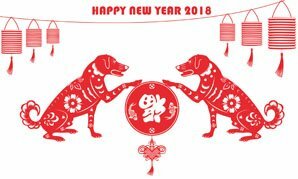 The ancient people also used the phrase "long to see one&apos;s son become a Dragon" to express their best wishes to the next generation, which meant they hoped their children would have a bright future.